Getting fit and staying healthy can seem like a full-time job. With all the different apps and conflicting information available online, it can be tricky to know where to start. To live a healthy lifestyle, some factors to focus on include exercise, a healthy diet, staying hydrated, and most importantly, having fun while you do it! After all, if your new diets, workouts, and healthy habits aren’t enjoyable for you, they will not be sustainable over time. 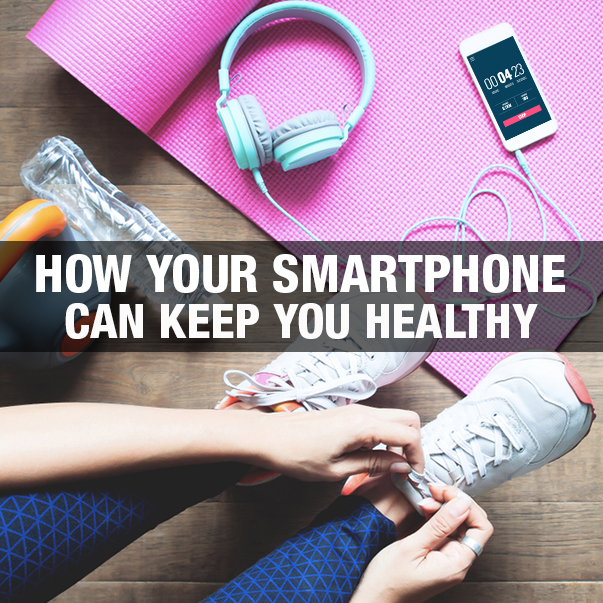 We have compiled our favorite Health and Fitness Apps that can help you live your healthiest life. Covering everything from recipes, workouts, and relaxation techniques, you can get started today right from your smartphone! Whether you love mile-long sprints or relaxing walks, it’s always a smart idea to keep track of your progress. Aside from the satisfaction of seeing how much your workouts improve over time, knowing your current fitness level makes it easier to set realistic fitness goals. For beginners who may be unsure what to do, both apps offer Training Plans to get you started. All you have to do is follow along! Run with Map and Walk with Map allow you to easily keep track of how far you’ve walked or run, the route you took, your pace, cadence, heart rate, and calories burned. If you’re looking to shake up your run, Zombies, Run! will give you a much more exciting and intense experience than your average mile-tracking app. Download the app, lace up your sneakers, hit the pavement, and hit Play. As you begin your workout, you’ll enter a virtual audio world in which you’re being chased by zombies. Nothing will push you to run faster than hearing a zombie trying to eat you! This immersive experience transforms a typical run around the block into a heart-pumping adventure. Cardio and strength training are great ways to maintain health, but they’re not the only way. The health of your mind and soul are just as important as the physical health of your body. Besides, after running from zombies or completing a difficult workout, you may want to unwind, and yoga is an excellent way to do it. Yoga has been known to improve heart health, help maintain a balanced metabolism, improve athletic performance, increase strength and flexibility, and reduce stress. Those are just some of the many benefits of yoga. But why spend hundreds of dollars on an expensive class when you can bring the yoga studio right to your home? Down Dog: Great Yoga Anywhere is an app complete with beginner to advanced yoga classes, instructions for all the poses, and relaxing playlists. As long as you have your smartphone, you’ll be able to find your Zen anytime, anywhere. All the crazy “food fads” circling around on the internet can give the impression that eating healthy is something only brilliant nutritionists can achieve. The truth is, it’s incredibly easy. If you eat a balanced diet that’s not overly high in calories, you will be exactly on the right track. MyPlate is an easy-to-use calorie tracker. Enter all of your snacks and meals, and receive a daily report of your intake of protein, fat, carbs, vitamins, fiber, and much more. Creating nourishing and nutritional meals will soon be a breeze. It can be easy to get stuck in the routine of making the same 3 or 4 meals over and over. An app like Healthy Recipes is the perfect way to find some culinary inspiration! You can enjoy a vast library of delicious and nutritious breakfasts, lunches, dinners, snacks, and even desserts. It’s all about balance, and Healthy Recipes will give you meal ideas that boost your health without sacrificing taste. Each meal will provide you all the ingredients, an easy-to-follow set of preparation instructions, and detailed nutrition information. Download the app from the Google Play store and get cooking! One of the simplest things we can do to stay healthy is often the most overlooked: drinking water. Drinking plenty of water throughout the day will keep your energy boosted, clear up problem skin, relieve stress and headaches, and maintain your body fluid balance. But as the hours of our busy day tick by, we’re all guilty of forgetting to take a sip here and there. Hydro Coach is the app that will keep you hydrated! You can keep track of how much water you’ve had, and it will send you alerts and reminders to drink water if you haven’t had enough. Drink up! How can I use these apps? All of these helpful and fun apps are available for free in the Google Play Store and Apple Store, accessible from your smartphone. Your free Lifeline plan includes 1GB free data to enjoy these apps, which you can stretch even further by connecting to Wi-Fi whenever available. Running low on data? Purchase a low-cost Data plan, or Talk and Data Bundle, on our website anytime you need it. If you find your phone has limited storage, click here to see our blog offering quick tips to free up some space. Or, if you already have a phone with your ideal amount of storage, we invite you to bring your own phone to Q Link!